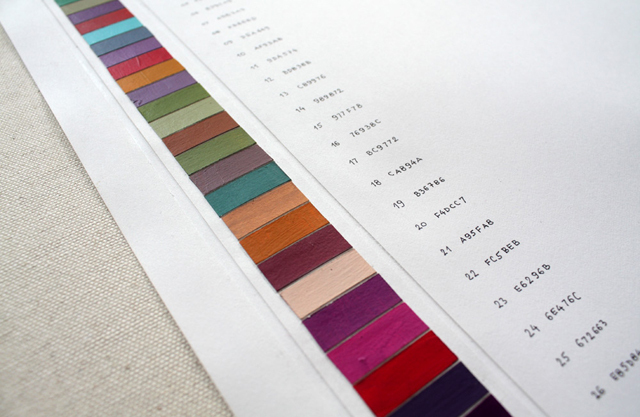 Munsell Color System; Color Matching from Munsell Color Company > Color Theory & History > Language… Why that Color? My Grandma belonged to the generation that easily slipped German words into their native Serbo-Croatian. She was also a skilled seamstress and I heard her many times referring to various fabrics as being grau, drapp, licht or dunkel. I had no idea what she was going on about and it all sounded like sheer Grandma magic to me since I didn’t hear these words anywhere else. Licht and dunkel were fairly easy to explain: light and dark. They were usually used to show a quality by comparison like things being lighter or darker than something else. Or lihtije (lighter than) and dunklije (darker than) in German-Serbo-Croatian. Grau and drapp remain more or less a mystery to this very day. She showed me some garments and grau seemed to be some sort of gray of indeterminate lightness. Since it was a woollen tweed-like fabric in my mind, it was a mix of light and dark speckles. Drapp could have been anything between dirtier beige to ochre-yellowish-brown. Although both words are of sentimental value to me, I never dared to use them. They just didn’t have any value outside of Grandma’s dressmaking wonderland. 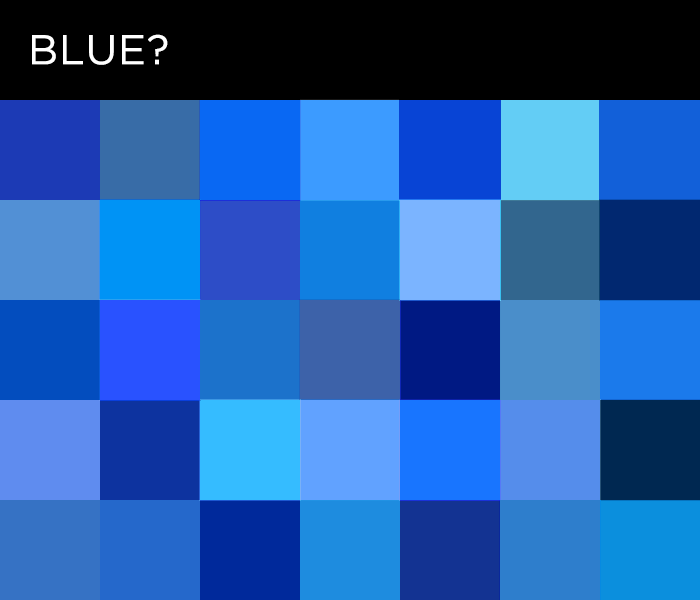 Which Color Blue is It? That seems to be the main problem with color names. They exist within fairly well-defined and enclosed linguistic systems and they are conventions created and adopted by a particular culture, as language generally is. Things get even more complicated because codability (capacity of words to convey a precise information) of color names is very low. When we use words for numbers, musical notes or even basic shapes, we are pretty certain that we’ll convey the message without much noise. If you said ‘blue’ I wouldn’t have the faintest idea what exact blue you are referring to. I would have my own image of what that blue might be, but I’m pretty certain it wouldn’t be the same as your image. It is generally understood that color names, no matter how elaborate they are, depict a color class. Word ‘blue’ refers to every imaginable idea of blue. Unlike many other terms, color names cannot be defined by other words. Dictionary definitions usually rely on comparisons to objects that are naturally colored that way. If you have never seen anything red in your life, the chance that you will get the idea through language is zero. The color always has to be shown and then have the name tag slapped onto it. I was always wondering about how I arrived at the images I associate with the definitions of colors in my own life. What did my parents point to when they taught me what was green? And did that in any way shape my relation to that color class afterward? Was it loathed spinach, my favorite blanket or just leaves and grass? By nature we are more attentive to the form and shape than to color. Just remember those horrible art history books where most reproductions were black and white. So in everyday life there is no need to lag thick color sample books around for the sake of accuracy. I think I started paying attention to color as a child with my first set of crayons. Unlike Crayola’s bittersweet, razzmatazz, thistle and mauvelous, my first markers and colored pencils were simply numbered. I remember little about the numbering, except that No.3 was light green. In retrospect, I feel somewhat grateful for having had the opportunity to play with colors unspoiled by linguistic conventions. On the other hand it left me at a disadvantage when people mentioned taupe or mauve. Fortunately many color names are derived from objects like avocado, lemon, grape and lavender so I know where to look for the sample. Brent Berlin and Paul Kay published ‘Basic Color Terms: Their Universality and Evolution’ in 1969 as a result of their research of evolution of color terms in various languages and cultures. They write that in the first stage of language evolution there are only words for dark and light and all the colors are lumped into these two categories. After that, the word for red appears. In the third stage we get yellow or green and in the fourth stage we have five color terms (black, white, red, yellow and green). Stage five brings blue, stage six brown and finally orange, purple, pink and gray (some say light blue) in any particular order. It all seems pretty neat, but the research has since been criticized for having a Western-centric method and approach. 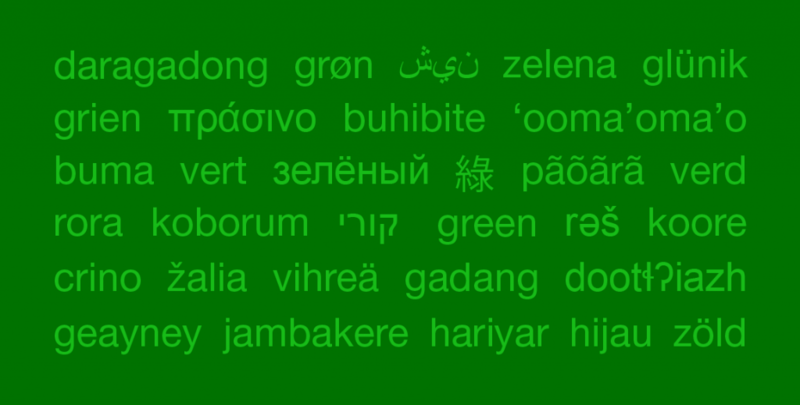 Various cultures and languages often have very different attitudes in discriminating and naming colors. Sometimes colors from the red range get a lot of distinct names, some other times it’s a different range that get more attention. In many cultures other attributes are part of the color definition like wetness, roughness, glossiness and in some cultures people don’t think a color swatch represents anything. The more research is done, the more we move from a universalist, to a relativist point of view. So, do color names influence our color perception? Probably. It depends on the languages you speak and what culture you live in or you grew up in. There was an interesting experiment mentioned in ‘The Secret Language of Color’ by Joann and Arielle Eckstut where participants were asked to identify which of two color samples of the same hue — one lighter and one darker — looked more like the main sample. Fairly easy task. Except when the samples were around medium value blue and the participants were Russian speaking people. They were much slower with their decision because they couldn’t name the color. That blue fell between their sinii (dark blue) and goluboi(light blue) and the participants involuntarily wanted to name the color first and then make the comparison. Munsell Color system and many others that came afterward utilize an alphanumeric code instead of a ‘name’ for each color within the system. These are very useful for transmitting the message within a given system because they point to an exact swatch and its position within the chart. You just need the key to accurately decode the message. With this in mind I decided to avoid traditional color names in the Chromapost project. 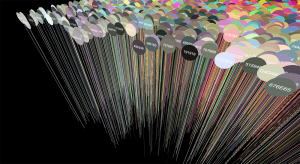 All of the colors I post are marked only with their hexadecimal RGB values, which don’t convey any specific meaning nor add extra semantic noise. The main message of the post is the color you see or pick. In any case, color names are often indelible from our experience of color, whether they are basic color classes or exotic made up names created by marketing experts to appeal to our emotions. On the other hand, ambiguity of color names has great use in literature and poetry. We generally know what the writer means by ‘blue’, ‘red’ or ‘yellow’, but it’s up to us to finish the picture by imagining our own versions of those colors in our heads, just as I continue to imagine that elusive but emotionally charged drapp from my visits to grandma. 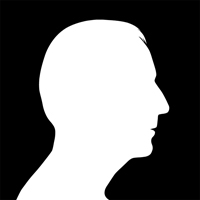 Aleksandar Macasev is a visual artist and graphic designer who lives and works in New York City. Everything about the Chromapost project can be found at www.chromapost.com. He invites you to join the Chromapost Social Network at www.chromapost.net, where users can post colors based on their emotions and create art out of it. There are plenty of words for colour in English and many are quite precise. Many speakers may not have the vocabulary or experience to use them, but they are there. I have a fairly clear idea of Prussian Blue, Navy, Royal Blue, Cerulean, Cobalt blue: all these are modifiable by describing saturation or tone, and then there are names that seem more suggestive but are still indicative, such as Azure or Sapphire. There are transitional shades such as Turquoise or Lilac or Teal. People just don’t talk about colour enough.